It is hard to be unaware of the challenges facing the Australian economy as a whole at present: softness in international economic growth, including in our key trading partner, China; a rapid contraction in mining investment, with broader business investment yet to step up to fill the gap; and, until quite recently, a high Australian dollar that has made life for trade-exposed sectors very difficult. These factors in turn have created a softer jobs market over 2014, and constrained growth in retail demand. And for the public sector, balancing budgets with sharp declines in revenue means some difficult decisions have to be made. With the outlook for growth over 2015 remaining below trend, the Reserve Bank of Australia (RBA) chose to cut official interest rates on 3 February to a new record low of just 2.25%. It is easy then, to become pessimistic about economic prospects – and we are certainly seeing this in business and consumer confidence indexes. But this pessimism is perhaps a little misplaced, particularly in NSW. Over the year to September 2014, while national GDP grew by a real 2.7%, NSW recorded growth of 4.7%. Looking at indicators for housing activity, consumer demand and employment (notably in the construction sector), NSW has fared well. NSW’s less direct exposure to the mining sector is now a boon. Our reputation as a major financial sector is bearing fruit, for example through the opening this week of the Official Australian Renminbi Clearing Bank in Sydney. More importantly, the prospects for the State remain upbeat, and 2015 is expected to see continued strong levels of activity in residential construction, further expansion in the finance and business services sectors, and recovery in a number of trade-exposed sectors such as tourism and education services. 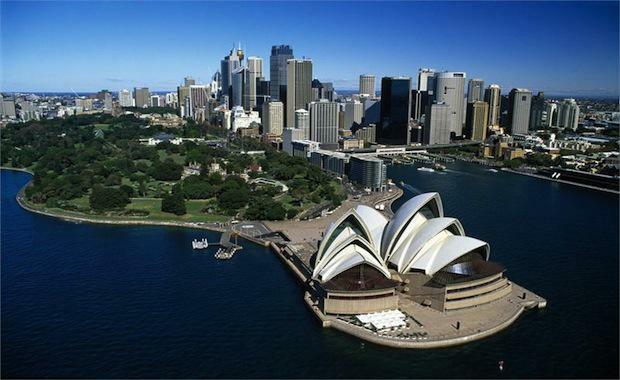 Sydney, as the State’s economic engine, typically fares well in international benchmarks across a wide range of business and economic indicators. But there is room for improvement if we want to be among the very best and attract more activity over time; policy makers cannot rest on their laurels. Longer term economic challenges facing the state include remaining competitive in a dynamic global region that is fast moving up the income and education curves. Our workforce must be increasingly skilled, our regulatory systems as streamlined as possible, and our infrastructure investment focussed on improving productivity. Tackling these headline issues at a detailed level must remain a priority not only this year and next, but consistently and over the longer term. Article republished with permission from Urbis.